Help support photojournalism at one of the very few truly independent journalism organizations! For those of you who are already readers of the Global Press Institute’s news wire, or who have read our reporters’ stories on outlets who syndicate our work like the BBC, Reuters or on NPR, you know that the women reporters of GPI, highly trained local reporters in 26 developing countries around the world, are doing nothing less than changing the face of the news that is coming out of their communities and their countries. As I wrote in my last post, GPI is committed to being a platform for independent, community-based journalism created by highly trained reporters, but as a non-profit, that isn’t always easy and has meant at times turning down money from companies that expressed interest in having a say over the content of our reporting, something we won’t allow. Now we are hard at work bringing photojournalism training and cameras to our news desks so we can provide our more than 5 million readers a month high level photography to accompany our reporters powerful stories, and we need your help. 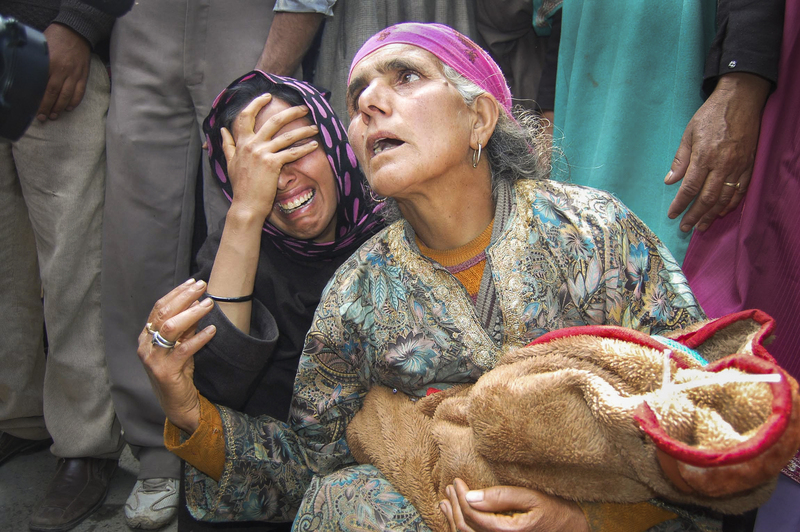 Aliya Bashir, one of our reporters in Kashmir, did an in-depth story on the high rate of infant deaths at a local hospital, over 500 infant fatalities during a 6 month period. Her story, in part due to her powerful photography, moved many to action included those who stepped up within days to donate new incubators and equipment to the hospital, and it spurred a government investigation. Sri Lankan GPI reporter Anuradha Gunarathne completed the photojournalism training with me just last month and took her new skills down to cover the deaths of 50 fisherman and the impact on their families from a powerful storm on the southwest coast of Sri Lanka. 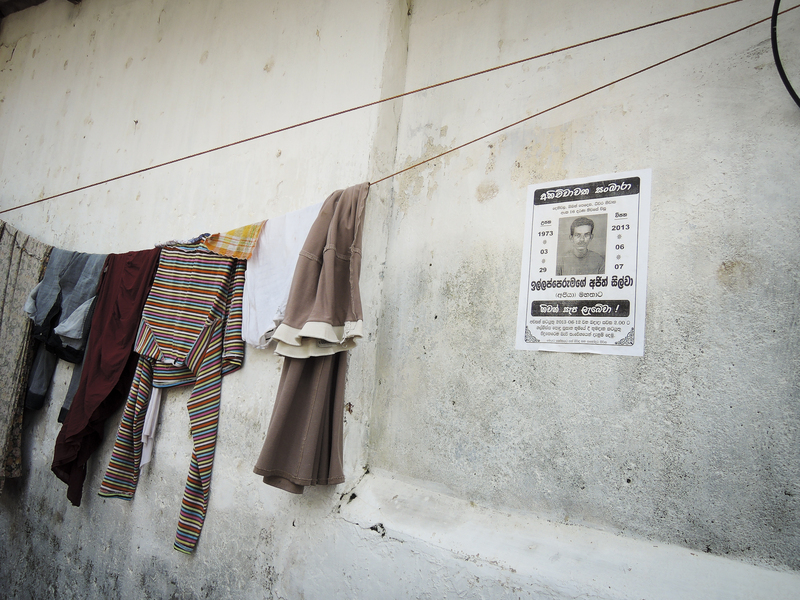 by Anuradha Gunarathne – A death notice hangs on a wall, a Sri Lankan tradition to inform the community of a death. 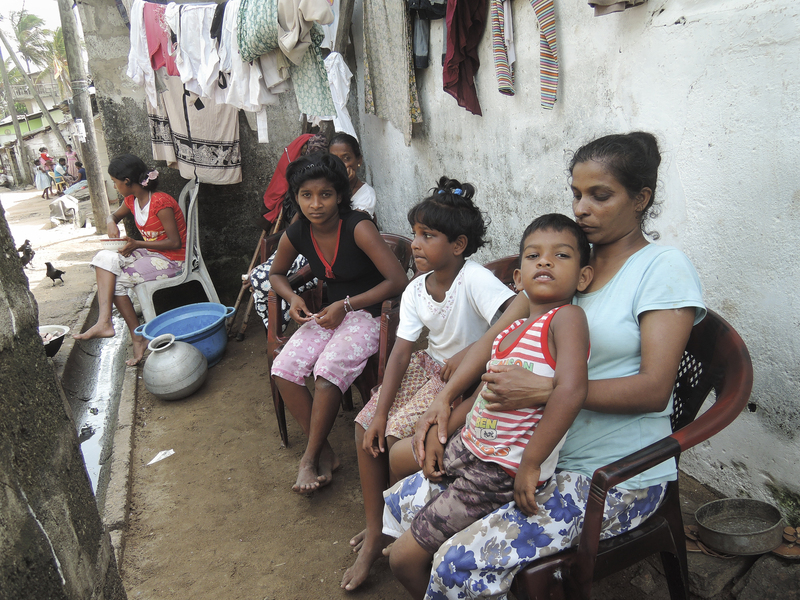 by Anuradha Gunarathne – Sriyani Fonseka, 35, sits with her three children in front of their rented house in Dehiwala, a village on the southwest coast of Sri Lanka. Her husband died while fishing during the June 8 storm. Your support of our Kickstarter campaign, to provide this photojournalism training and bring cameras to reporters at 10 more GPI news desks will enable dozens more women photojournalists to be able to cover important stories like these. Their words and now their pictures are doing no less than changing the balance and the quality of the news that the world gets from these countries. Please join us today! We are down to the last 5 days of our Kickstarter campaign and very much appreciate your support, both donating and sharing this campaign with your friends and on your social media networks. $100 will provide the photojournalism class and a year of visual mentorship to one of our journalists! $1000 pays for all reporters at one of our news desks to receive the photo training and mentorship, and makes the donor a sponsor of that desk’s photo program! Every donation helps towards these goals! Together we can train and support these 135 women photojournalists around the world. We will also be creating a photography book telling the story of GPI, as well as a portrait exhibit of all of our reporters so that people can see the powerful network of women journalists who make the Global Press Institute what it is and who work fearlessly and tirelessly everyday to bring the world stories from their communities that would otherwise go untold.